Russia is at the center of yet another doping scandal, after it was revealed that the country’s entire 23-man squad from the 2014 World Cup is being inquired by FIFA over possible drugs offences. Russia, currently hosting the Confederations Cup and in under a year will stage the World Cup but these allegations are likely to throw its suitability to stage such events into serious doubt. The 23-man squad, who were eliminated in the group stages of the Brazil World Cup three years ago, are among 34 Russian players being investigated by soccer’s world governing body. Five of the 23 players tested in 2014 are members of the squad that was knocked out of the Confederations Cup on Saturday. The state-sponsored doping and cover-up in Russia are well known but this is the first time top-level soccer players in the country have been placed under investigation, although there is no proof still of any anti-doping violations. 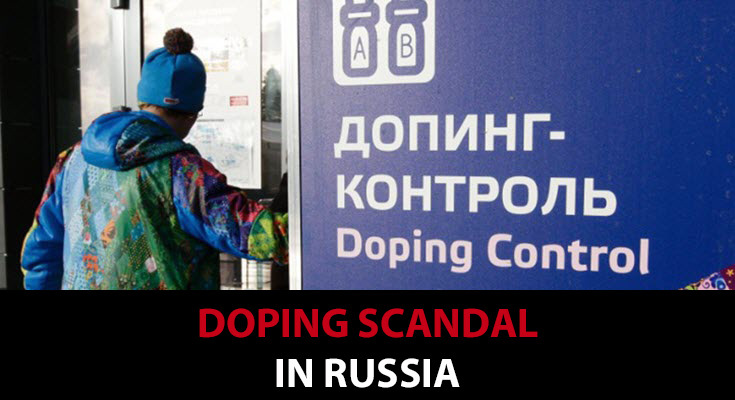 However, a report by the Mail on Sunday alleged the players were among 1,000 “people of interest” to the officials charged with establishing where the tentacles of Russia’s doping racket extended. The new accusations follow the publication of two reports commissioned by WADA and authored by the Canadian lawyer Richard McLaren. It found at least 1,000 people were assisted by what McLaren described as an “institutionalized manipulation of the doping control process in Russia”. More than 200 of those are believed to have competed in athletics with 13 other sports having competitors in at least double figures being implicated and several cases in other sports. Sign up at WagerWeb.ag.